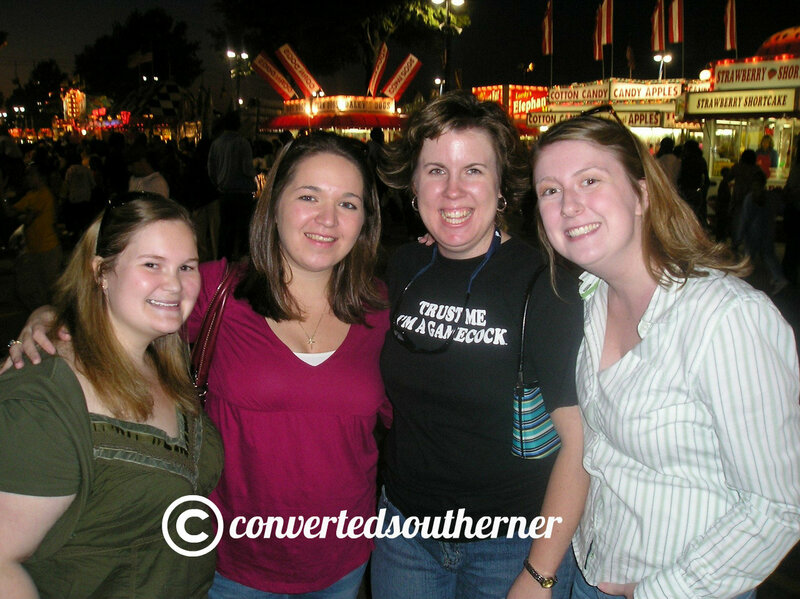 The State Fair started yesterday and it is a big deal in these parts. This is a throwback to a trip there in 2006. I wasn’t even living here at the time, I had moved away to work at Country Club College. I love the fair so much that I made a trip back down for that weekend. Deep Fried Cookie Dough is my favorite… but I don’t think they were even selling it back then. But really, is there anything more American or Southern than deep fried food goodness? So we all devoured funnel cakes this trip. From left to right… Melton, Me, Rach and Gail. I love the State Fair! Favorite fair foods, anyone?